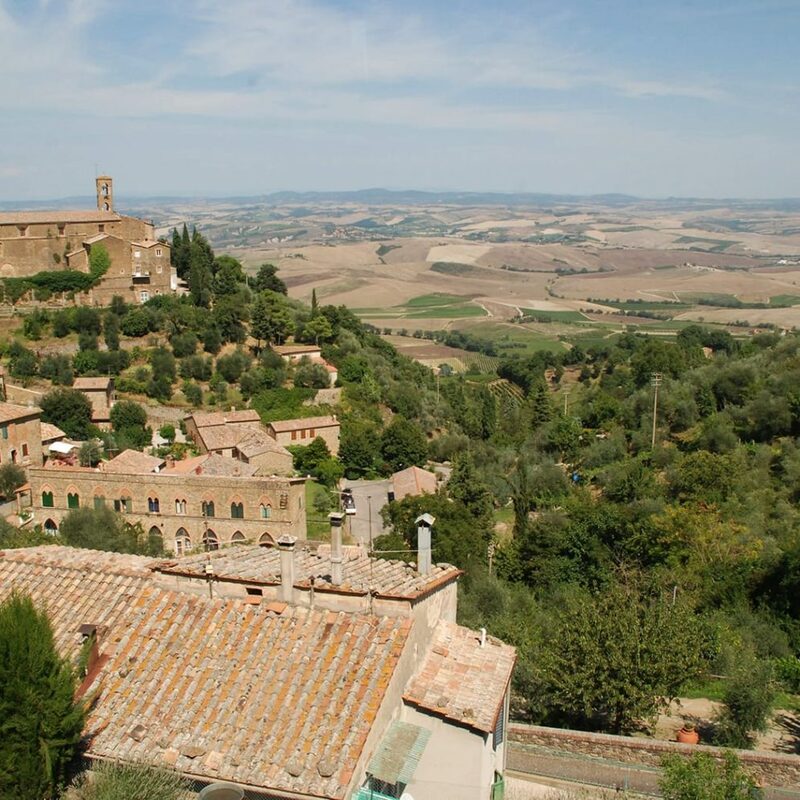 Montepulciano is built along a narrow crest of calcium, at a height of 605 mts above sea level. The town is surrounded by a circle of walls and fortifications, projected by Antonio da Sangallo il Vecchio in the 1500’s. 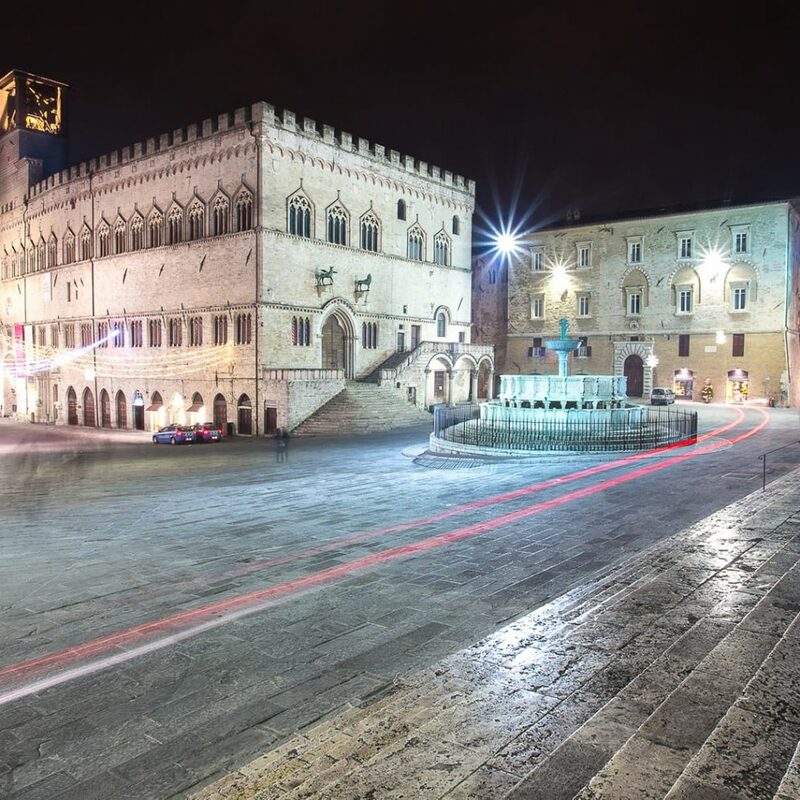 Montepulciano is recognised mainly for its grand renaissance buildings, for the elegant beauty of its churches and for the “Vino Nobile”, one of the most appreciated Tuscan wines, on an international level. The urban centre is developed along a street that comes up through the hill, arriving at the central square, Piazza Grande, which is found at its summit. Pienza, a small jewel of renaissance in the heart of Tuscany, in the province of Siena, owing its name and popularity to Enea Silvio Piccolomini, who became famous as Pio II. A great part of its most beautiful architecture was actually realised by Papa Pio II himself, between 1459 and 1462, and who called one of the most famous architects of that era to work in Pienza, Bernardo Rossellino, who transformed the hamlet of Corsignano in to a splendid renaissance town, an exceptional example of architecture and urbanism of the 1500’s. 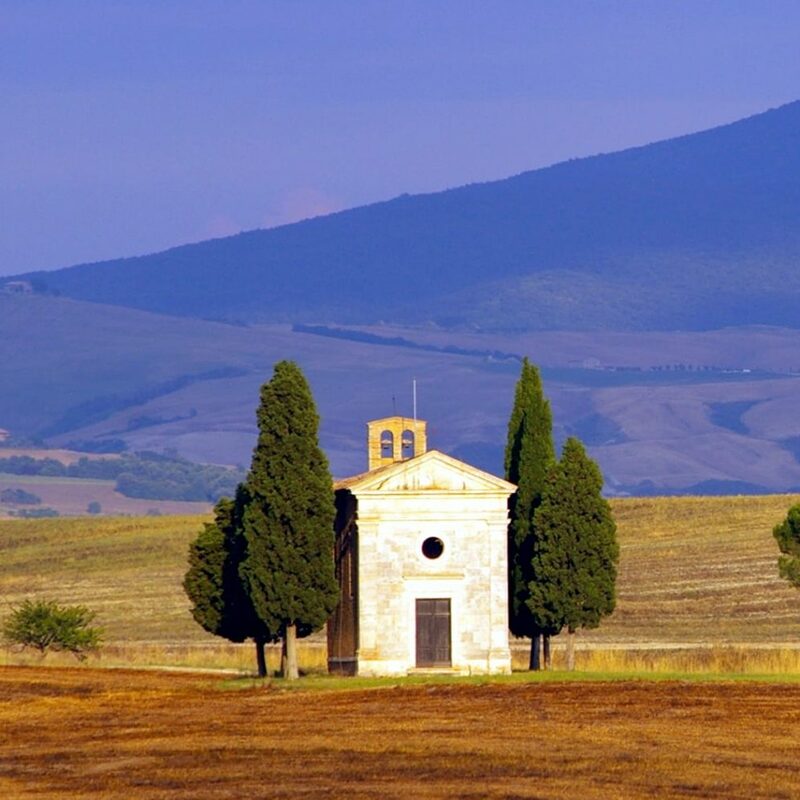 Homeland of that Brunello which has been labelled the best and most famous Italian wine, Montalcino, from its height of 567 metres, dominates all of the surrounding countryside, set on a hill which dominates the majestic three hundred year old fortress. Just outside the city, towards Castelnuovo dell’Abate, in the Starcia valley, we find the romanesque abbey of Sant’Antimo, an intimate and impressionable temple, embraced in an almost fairytale atmosphere, set up by Carlo Magno in 781. This is one of the most artistic cities of Italy, with important and recognised monuments, buildings and squares, and the city of the Palio. Without fear of being mistaken, we can affirm that the Palio delle Contrade is the most famous and the most deeply felt of the Italians’ events, which adds and expresses to its maximum potential the characteristics of a feast both religious and civil, of a fascinating show, of a historical and cultural reenactment, which culminates in a breathtaking horse race, riden with the exalted pride, spirit and competitiveness of the contrade. 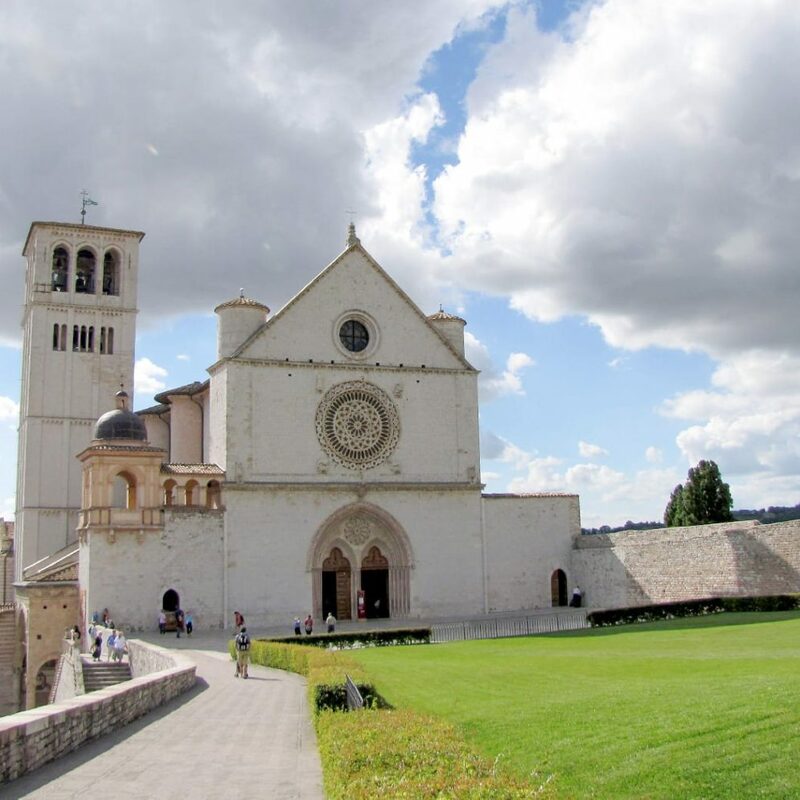 Assisi, for its richness of its monuments, can be considered artistically one of Italy’s richest destinations. The historical events that the city has known has left precious testimony in the form of churches, buildings, castles, ruins, etc. 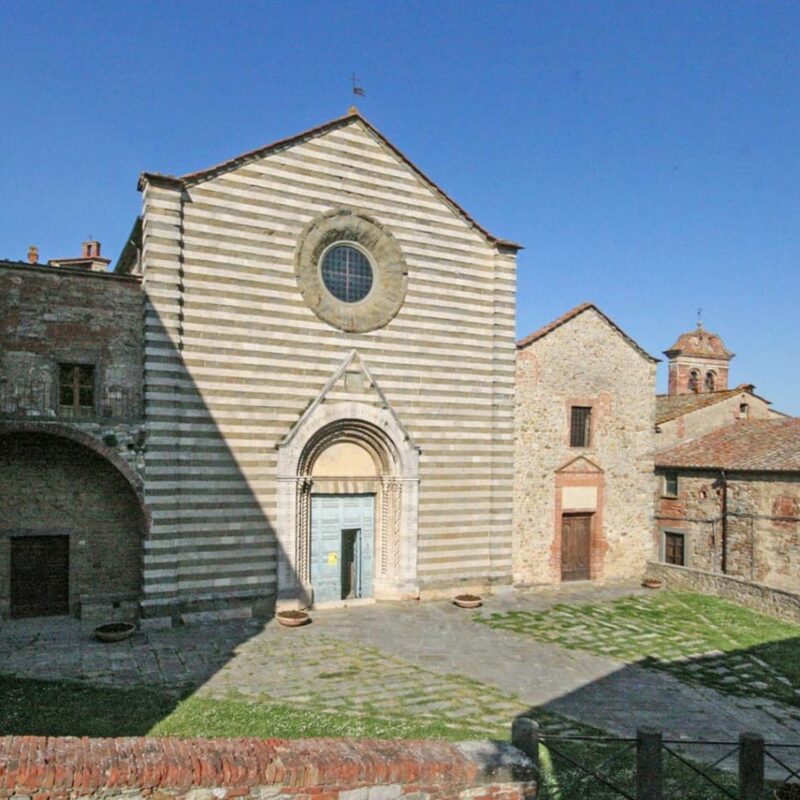 In the main square of the city you will find, perfectly kept, a Romanesque temple (Tempio di Minerva), but undoubtedly, the jewel of the city, and centre of the religious world, is the Basilica di San Francesco. 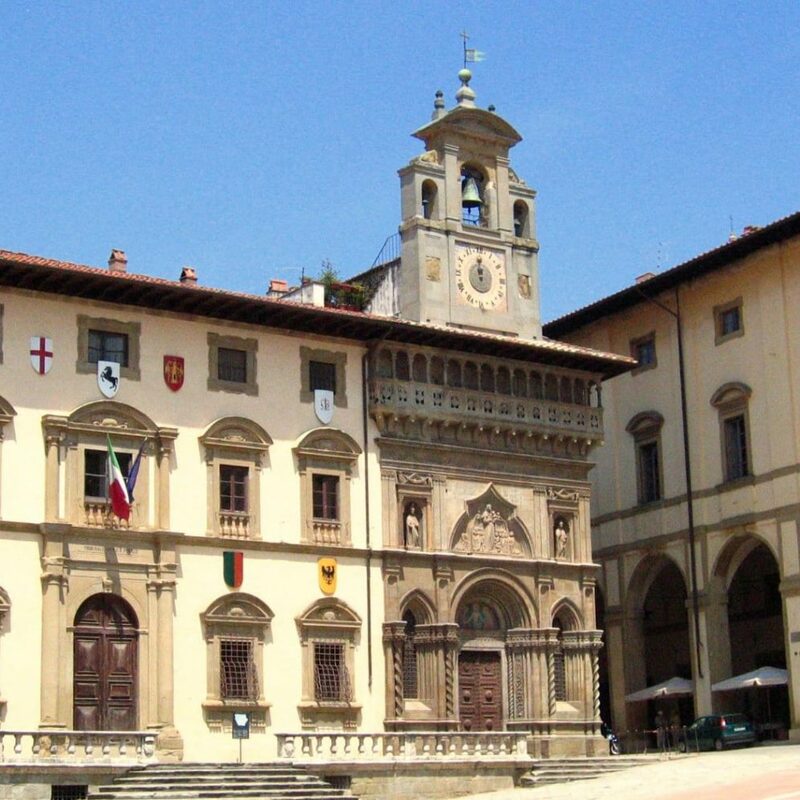 Capital of Tuscany, Florence is the city of art par excellence is known. Millions of tourists every year trample the streets in search of art, history, sun, good food and fine craftsmanship. 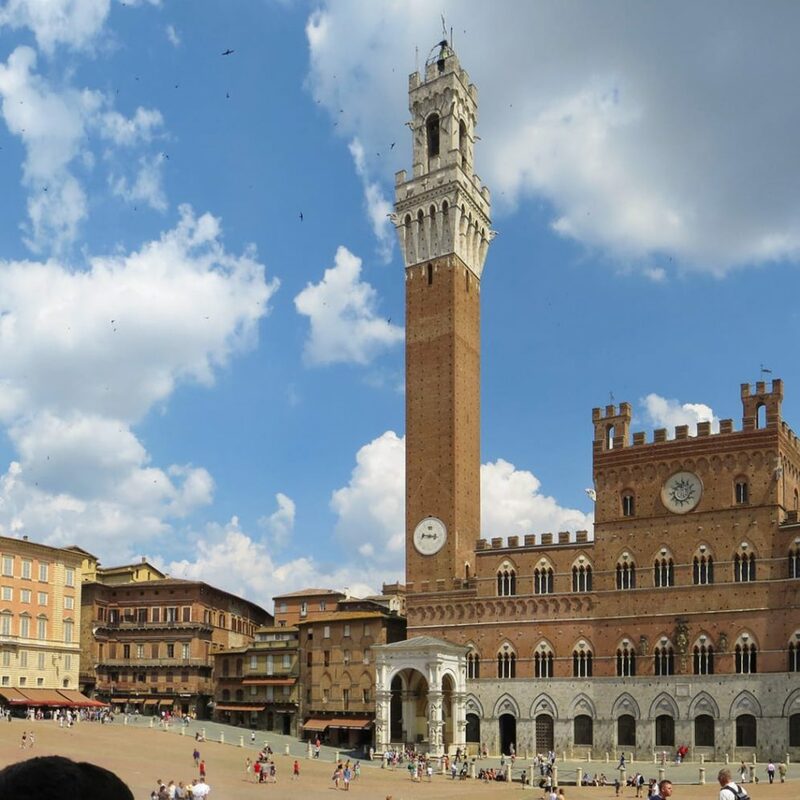 Visiting Florence means to walk among the monuments of the great history everyday, visit the sumptuous palace and gardens, taste the local produce in local markets or in local inns. 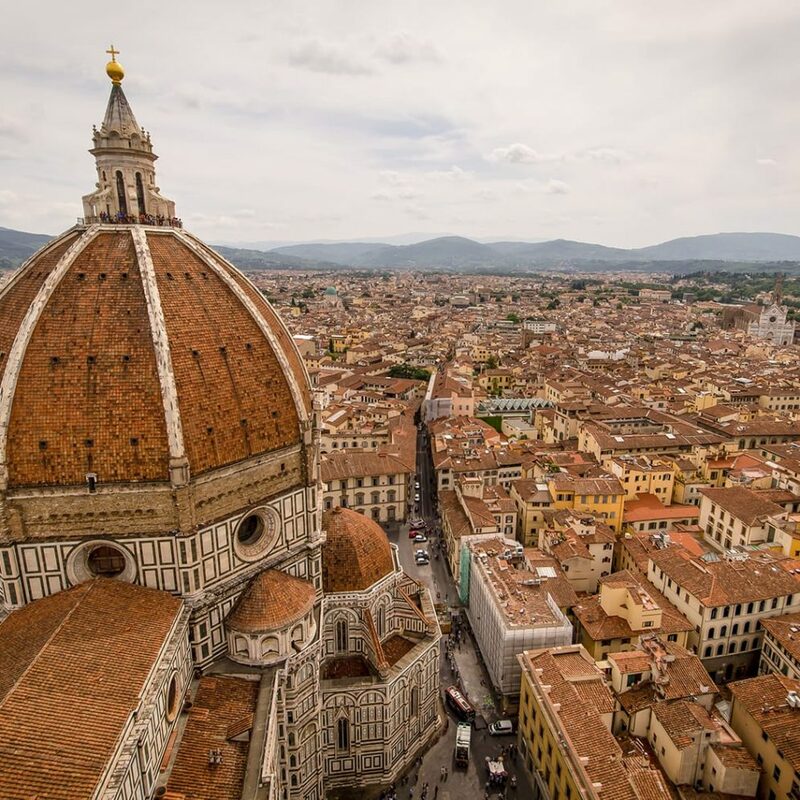 The most popular monuments of the city are the Cathedral of Santa Maria del Fiore, the Baptistery, the Uffizi Gallery, the Bargello, and the Accademia Gallery. 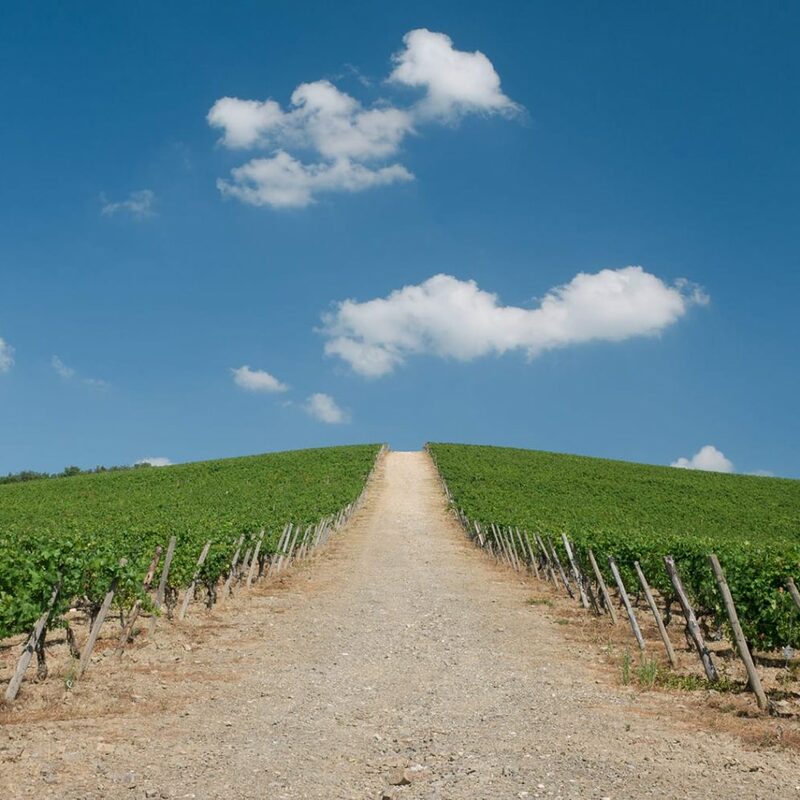 Chianti is a historical-geographical region, symbol of the Tuscan farming civilization, which includes the hills which stand out between the Chianti mountains. Hilly area with a rocky land, on which it seems a miracle that on a thin fertile stretch, the vines, the olive trees and the vegetable gardens are exuberant, not to mention the woods. 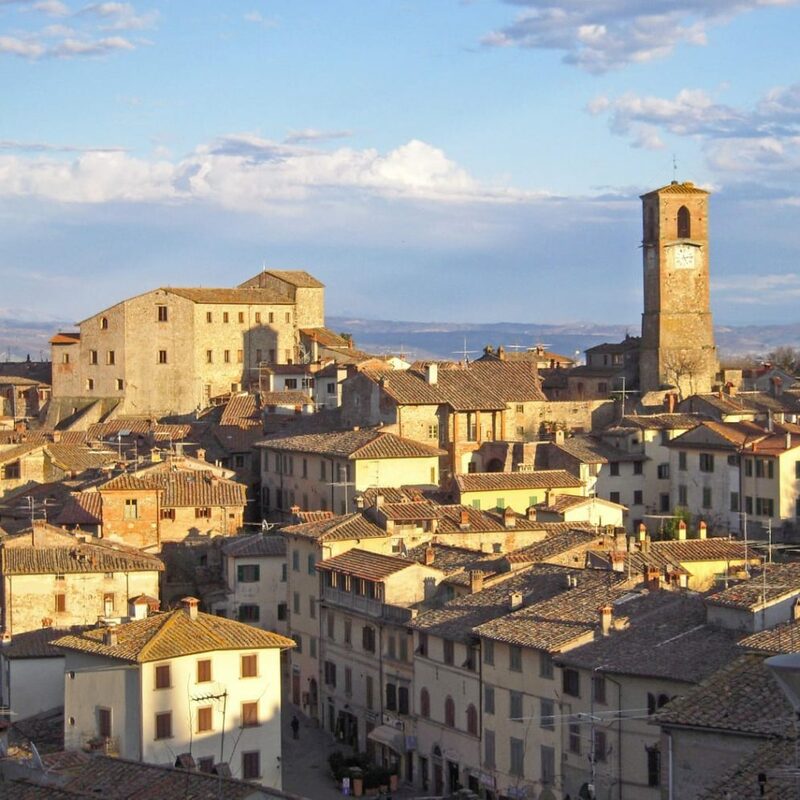 A geographic region which has its own history because it was the land of conflict between Siena and Arezzo and between Florence and Siena, Land of saints and fighters, of great artists, of farmers and lords, a land of hills, mounds with farms and villas, castles and parish churches, abbeys and tower ruins, stone hamlets and austere buildings, land which has given life for around five centuries to one of the most famous wines of Italy. Perugia, the great “Arce Guelfa” rises above the centre of Umbria, with its five historical quarters enclosed by etruscan walls: enormous bastions formed by gigantic squared boulders, and put in place 22 centuries ago, and still visible for long stretches. When the city of Rome was little more than a group of huts, in the etruscan Perugia you would enter by any one of 7 doors, one of which being that of the Porta Pulchra or d’Augusto, which was particularly grand. To enter Bagno Vicnoni is like going back in time, so as to emerge in to a completely different reality to that of our century, leaving everything behind. You really do breath a new fresh air, indeed very old. It is from here, where in the year 500, Santa Caterina da Siena and Lorenzo de’Medici, known as the Magnificent, took a bath in the big tub, that you can admire one of the most picturesque panoramas of the area. 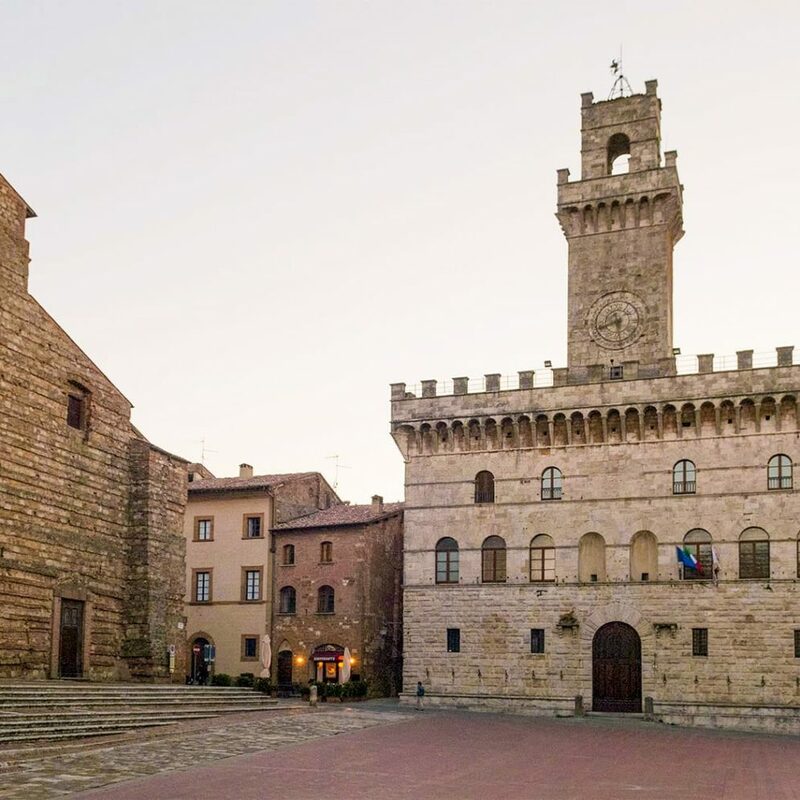 This is one of the most interesting places in Tuscany because of the original castle like elliptical construction, enclosed by a wall with towers. The old hamlet has the Palazzo Comunale, from the 1200’s, which has been perfectly preserved. Inside there is a small museum with paintings from schools in Siena and Arezzo, as well as a precious testimony of late gothic jewellery, such as the famous reliquary “albero” of Lucignano. The imagination and creativity of its inhabitants are shown in Spring, during the Maggiolata Lucignanese, where the sounds and colours of the flowers revive a tradition rich in history and music. 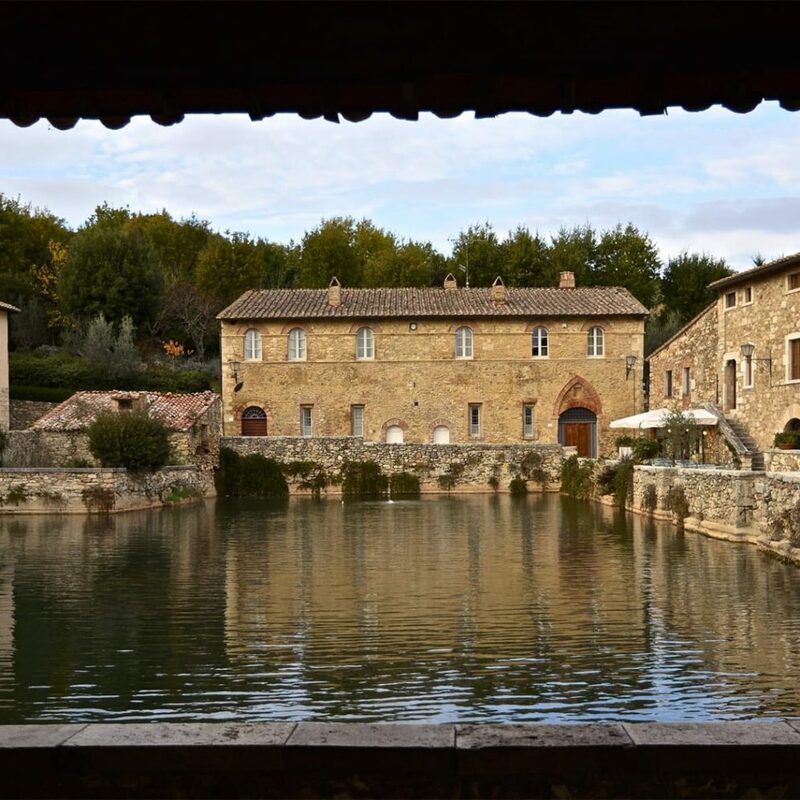 Splendid medieval hamlet at the foot and between the hills of the Sovara torrent and the Tevere valley. In the heart of the historical centre Palazzo Taglieschi is found, the home of the Museo Statale which houses artistic testimonies of high value (a Madonna in wood polychrome by Jacopo della Quercia, Robbiane terracottas and a grand piano of the 1500’s which still functions). In Spring, the streets and the lanes of the old hamlet come to life with tourists and the shops open their doors to many visitors who each year in large numbers do not miss the chance to visit the traditional Mostra Mercato dell’Artigianato and of Valtiberina in Tuscany. 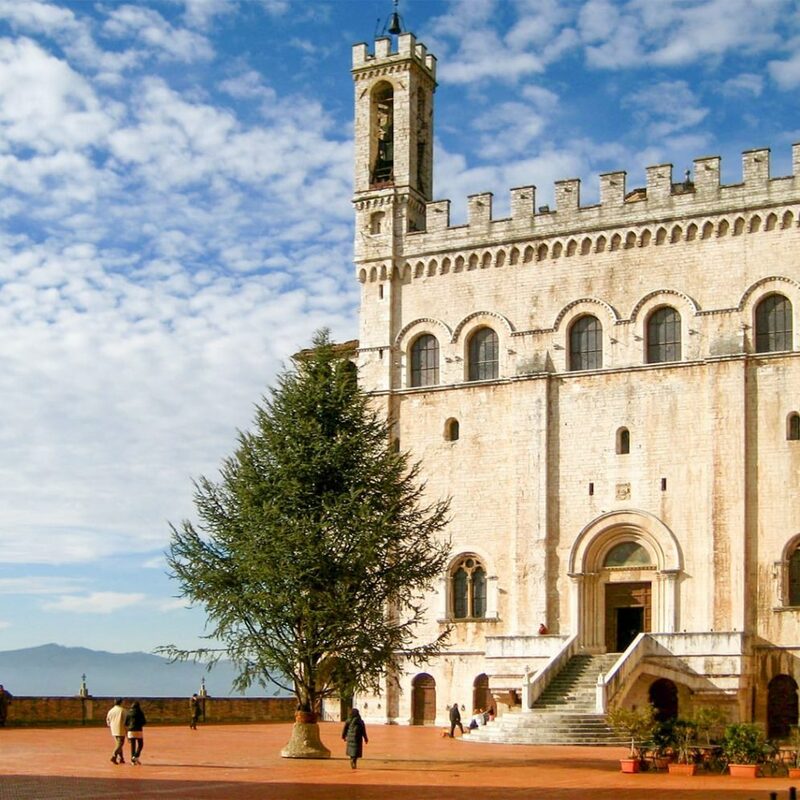 Nestled at the foot of Monte Ingino, Gubbio is one of the oldest cities in Umbria, well preserved over the centuries, and rich with monuments which are testimony to its glorious past. Gubbio is home to the Corsa dei Ceri, a run held every year always on the 15th day of May, in which three teams, devoted to St. Ubaldo (the patron saint of Gubbio), S. Giorgio, and S. Antonio, run through throngs of cheering supporters (clad in the distinctive colours of yellow, blue and black, with white trousers and red belts and neckbands), up much of the mountain from the main square in front of the Palazzo dei Consoli to the basilica of St. Ubaldo, each team carrying a statue of their saint mounted on a wooden octagonal prism, similar to an hour-glass shape 4 metres tall and weighing about 280 kg.